DF CHARTA 01 is one of the general error that occurs in the google play store. When a user tries to login to the google play store a login message ”Error retrieving information from server DF-CHARTA-01″ has appeared on their screens. Most of the users who have got this issue say that they were affiliated with the US universities and they use the university based accounts. In most of the universities they provide a mail related to their university or they provide the .edu mails to their students and employees. Most of the universities provide their mails as it is easy to send the information to their students and employees making easy to deliver all sort of information. So when the user uses it in the google play store they get the errors, there are some other errors like google play error rh-01. Among them one of the error is error retrieving information from server df-charta-01. So when the users gets this google play error df charta 01, they need to solve it. 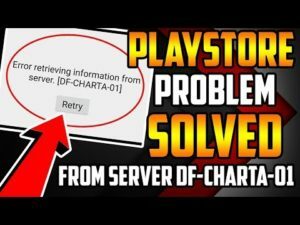 Play store error retrieving information from server df-charta-01 can be solved sing the below methods. Follow the guide completely to solve the errors of google play df-charta-01. Not only for the users who uses the .edu mails even for the general users these type of error may occur. So if you get such errors simple follow the below methods to solve the issue. Any one can solve the error df charta 01 google play, but some times many users delete the university account and they start using a new one which does not suits. Infact all the contacts, Plays, Programs and other information will be erased when you change the google account. Fortunately we have got a solution for this like play store error 495, we can arise this issue of google play store error df-charta-01 without deleting .edu mails. Below are the methods that can be used to solve this problem. Go to the Google Play. You will now see the name and email address associated with your account. Now you can use the other account by scrolling down the selector. Click on the other google account that you can use. Select the account that you want to use and tap on it. Now your google play account will work fine. 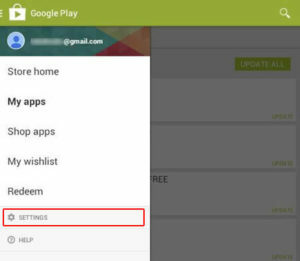 You can activate the google play account in the administration console. To use this method one needs an administrator account. First go to https://admin.google.com website using any of the browser. Select an option of Add Account. Enter the Administrator account’s credentials on the login page. Now you will see several accounts in the login page. Select the one mail that is not ended in @gmail.com. That will be the administrator account. 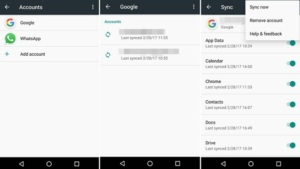 Now you have to activate the account in the Google Play box application. To activate the application option follow the below settings. Go go Google Play and use the account. Finally your issue of google play store error df-charta-01 can be solved using the above two methods. You can use any one of the method to solve the error df-charta-01. If you like this article share in the social networking sites. Visit Gudtechtricks for more information.